Greg Goatley has spent the last 34 years practicing law, and he said the opportunity is finally there for him to expand his role within Washington County. Having worked in real estate, estates, criminal and domestic law as part of his private practice, he’s ready to take the skills he has honed over more than three decades and make the transition to serving as the local county attorney. The second reading and a subsequent vote were held at last Tuesday’s Springfield city council meeting to raise the property tax rate to 15.24 percent for the upcoming year. 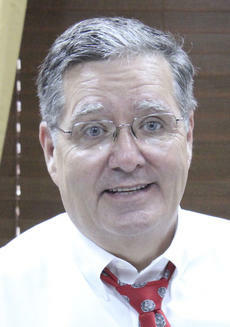 Last year’s rate was 14.49 percent, and the boost will allow a four-percent increase in revenue for the city. During August’s meeting, City Administrator Laurie Smith said the tax hike would result in a difference of $7.50 annually on a $100,000 property. 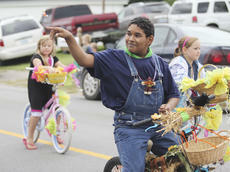 Last year’s success in reviving the Mackville Harvest Festival — which had been dormant for eight years before that — helped this year’s event expand to a two-day affair. There were eight committee members in all to help with the decision-making process for this year’s festivities — Donna Harmon, Amanda Preston, Jeannie Hatchett, Billie Ann Riley, Brenda Noel, Beverly Knecht, Linda Riney and Jim Powell. 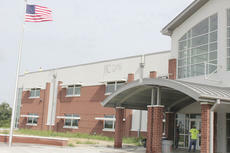 The opening of the new Washington County High School facility was once again pushed back on Monday night, after the school board voted 4-0 in favor of delaying the move until winter break in December. The move-in was previously scheduled for Oct. 14, following an extended two-week fall break period. However, delays in construction, as well as an insurance dispute over the removal of graffiti from the Aug. 22 incident, led officials to postpone the opening. Julie Thompson went to back-to-back state tournaments as a basketball player at Washington County High School, but it wasn’t until this year that she was able to capture her first state championship. This time around, though, she wasn’t playing basketball; she was pitching horseshoes. Thompson, who now lives in Bardstown, was 17 when she first picked up the sport in 2007 after she went with her boyfriend to a couple of the state horseshoe pitching tournaments. 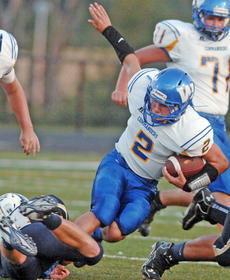 It may have been their third straight game against a team ranked in the top five of its class, but Washington County Commander head football coach Eric Sagrecy was pleased with his team’s effort throughout its 47-10 loss to reigning Class 2A state champion DeSales (4-0, 1-0) last week. 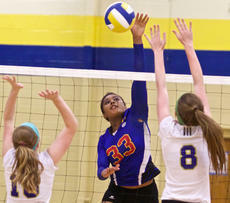 After winning its first 12 games of the season, the Washington County Commanderette volleyball team(14-2, 2-2) have dropped two of the squad’s last four games. 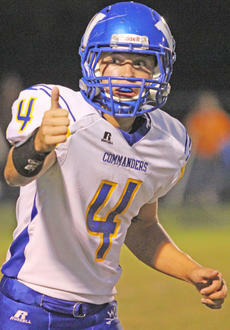 But it’s how WC has responded after each loss that has impressed assistant coach Casey Mudd the most. The team went 6-7 in games following a loss, but a win this past Monday against the Anderson County Bearcats (8-5) improved their record in that department to 2-0 on the season. 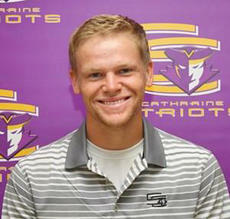 The St. Catharine Patriots golf teams traveled to Owensboro, Ky. to compete in the Brescia Invitational last week. 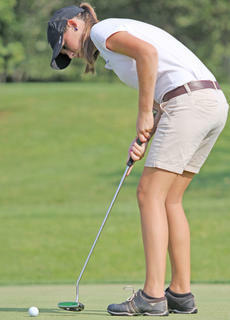 This past weekend, Washington County sophomore golfer Emily Cox played in her fifth straight All-A State Classic. She placed in the top 40 after carding a 102 at Eagle’s Nest Country Club in Somerset. In her past two All-A State Classics, Cox shot an 84 at each event, even clinching a spot in the top 10 last year. This year’s top performer — Olivia Cason of Owensboro Catholic High School — carded a 74 on the evening. The event featured 77 players from All-A-eligible high schools from around the state. The Washington County Commander football team (0-2) had their chances against the Elizabethtown Panthers (3-0), but they were unable to capitalize, losing by a score of 55-7. Their first chance came just 15 seconds into the contest, when Elizabethtown fumbled a lateral on its first play from scrimmage. WC senior Michael Wheatley ended up with the football and returned it 43 yards for the touchdown, giving the Commanders their first lead of the season at 7-0 after the extra point.